VOI’s Josh Hasten deals with two timely topics: Senator Bernie Sanders and a conference on Israeli public diplomacy. 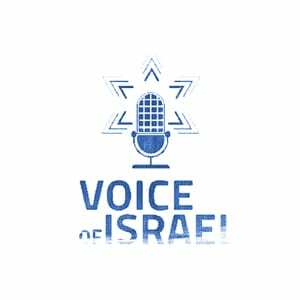 First, he is joined in-studio by HonestReporting’s Yarden Frankl, who discusses a recent NPR interview, in which Vermont Senator Bernie Sanders was asked if he held joint US-Israel citizenship. Sanders didn’t take the bait, recognizing that the reporter was insinuating he had dual loyalties. Frankl also says that the New York Times continues its practice of skewing headlines about Israel and downplaying Palestinian terrorism. Then, Josh is given a briefing by Miri Maoz-Ovadia, spokeswoman for the Binyamin Regional Council, on today’s “hasbara” (public diplomacy) conference, organized by the Council of Communities in Judea and Samaria. She says that though it is an uphill battle, an effective way of defending the Jewish right to live in Judea and Samaria is to stress the human-rights aspect of it.